Lock in a great price for Best Western Yamagata-airport – rated 8.1 by recent guests! I liked that the location is very near the train station. There were a lot of restaurants around. I recommend the Katsu place just near Family Mart. The free use of the massage chair was awesome. We had a hike at Yamedera before checking in and it helped relax us. The room is also so clean and comfortable and the breakfast was sumptuous. I liked the location of the hotel, relative to the nearest train station. It was manageable and within a 5-minute walking distance. The restaurants around the area were also of very good quality and we enjoyed our meal at a nearby Japanese restaurant. Breakfast was good. Clean property. Free massage chair available. Location & hotel comfort. Friendly staff, including the breakfast lady. Nothing extraordinary, like in every Japanese hotel. Breakfast was tasty. 직원들 출장 갈때마다 이 호텔을 원하고 있을정도로 만족스럽습니다. 기차역과의 거리, 맛있는 조식, 친절한 직원!! Best Western Yamagata-airport This rating is a reflection of how the property compares to the industry standard when it comes to price, facilities and services available. It's based on a self-evaluation by the property. Use this rating to help choose your stay! Best Western Yamagata-airport offers accommodations in Higashine. Free private parking is available on site. You will find a kettle in the room. Every room includes a private bathroom equipped with a bath. For your comfort, you will find bathrobes and slippers. 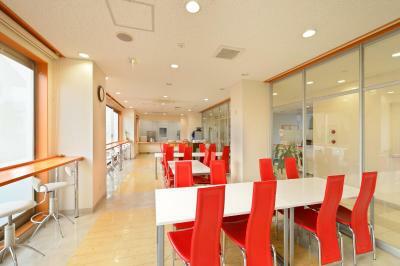 Best Western Yamagata-airport features free WiFi throughout the property. Sendai is 30 mi from Best Western Yamagata-airport, while Yamagata is 12 mi away. Yamagata (Junmachi) Airport is 1.2 mi from the property. This property is also rated for the best value in Higashine! Guests are getting more for their money when compared to other properties in this city. When would you like to stay at Best Western Yamagata-airport? This single room features a electric kettle, air conditioning and bathrobe. This spacious, south-facing room is located on a high floor overlooking Vancouver's city skyline. An electric kettle, bathrobe and air conditioning are also provided. This twin room features a bathrobe, electric kettle and sofa. This twin room has a electric kettle, bathrobe and sofa. House Rules Best Western Yamagata-airport takes special requests – add in the next step! Best Western Yamagata-airport accepts these cards and reserves the right to temporarily hold an amount prior to arrival. Good location hotel, clean, and nice stuff. Paid for the breakfast and didn't get it because it ended to early in the morning, before 9h50am... Hotel needs some renovations, and maintenance. The very low English-proficiency of the staff. Efforts and good intention only went so far, as in the end, I left the hotel slightly happy with how courteous the Japanese staff were, but terribly disappointed that such a big hotel chain did not ensure that its staff would be able to communicate well in English to non-Japanese tourists. The wifi connection was not reachable. There was no internet connection.